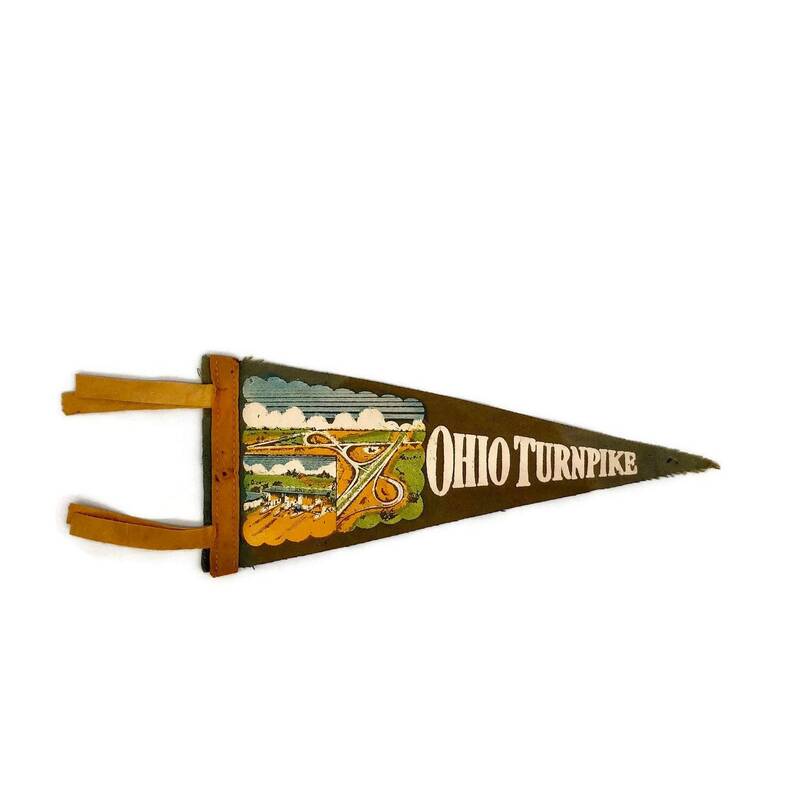 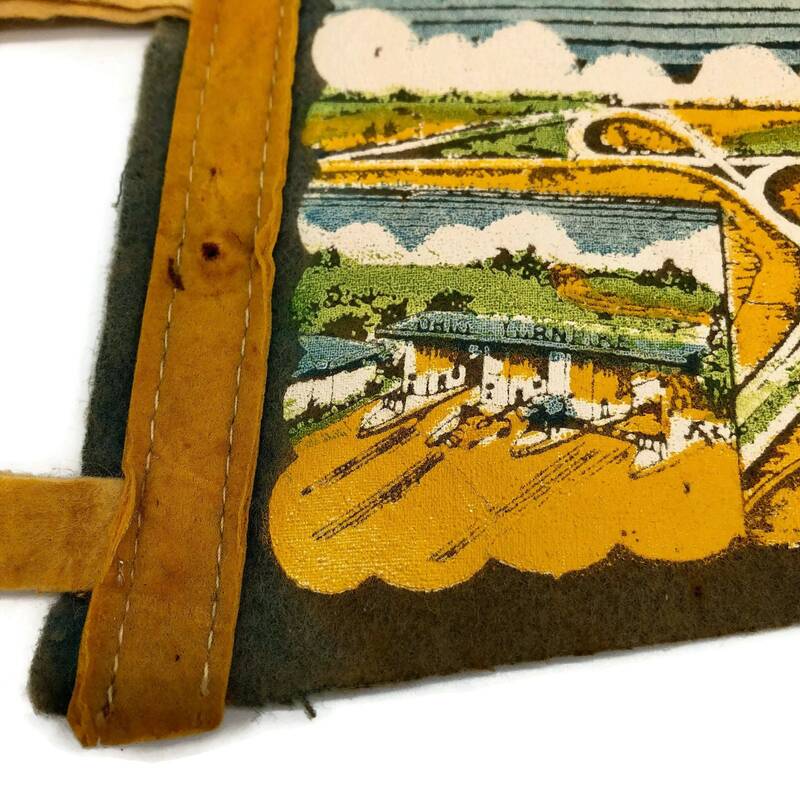 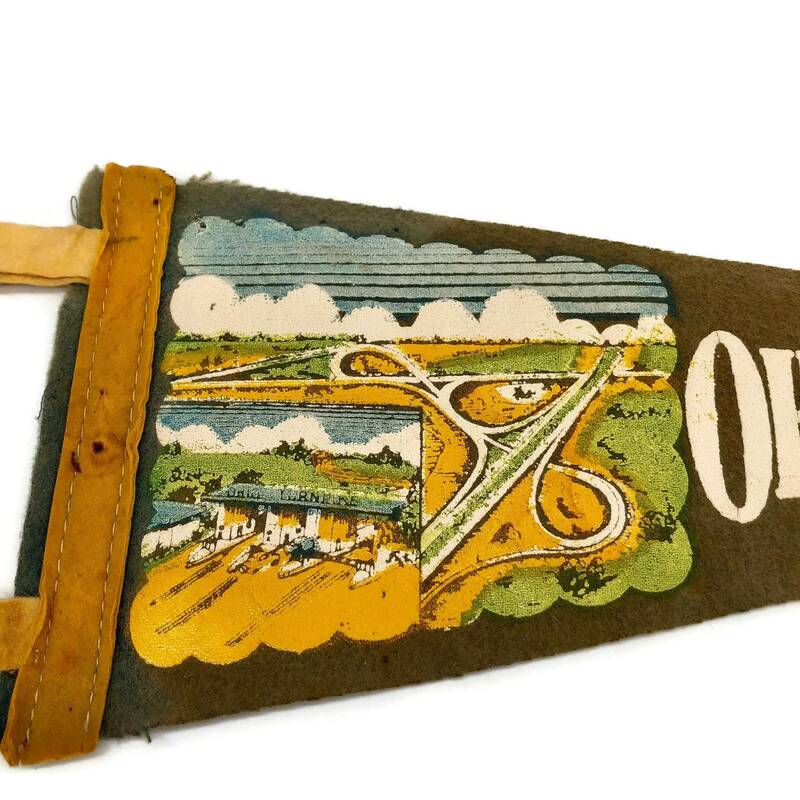 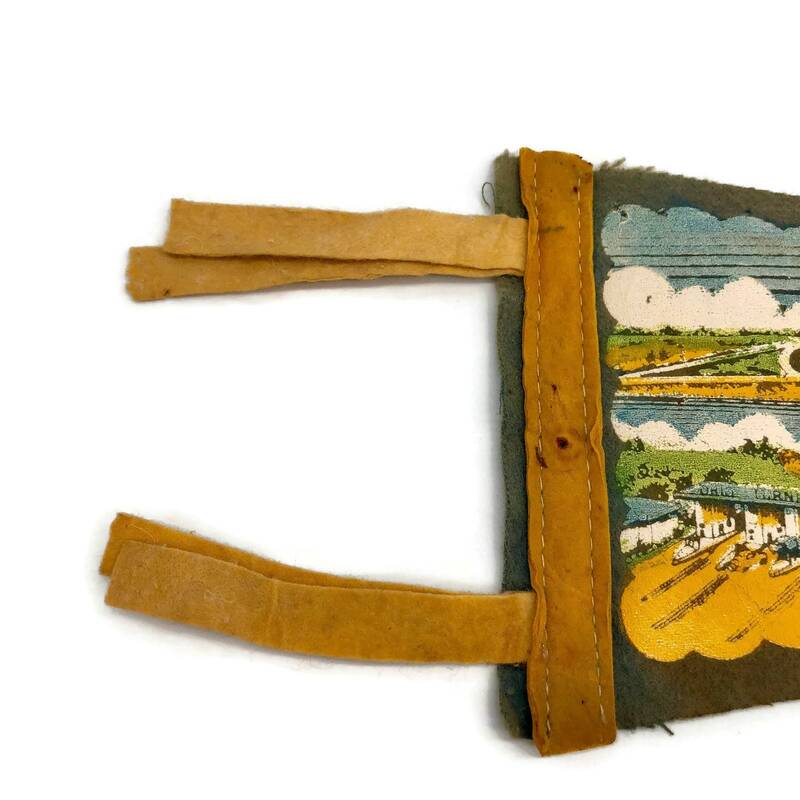 Vintage Ohio Turnpike pennant flag with lots of wear and love. 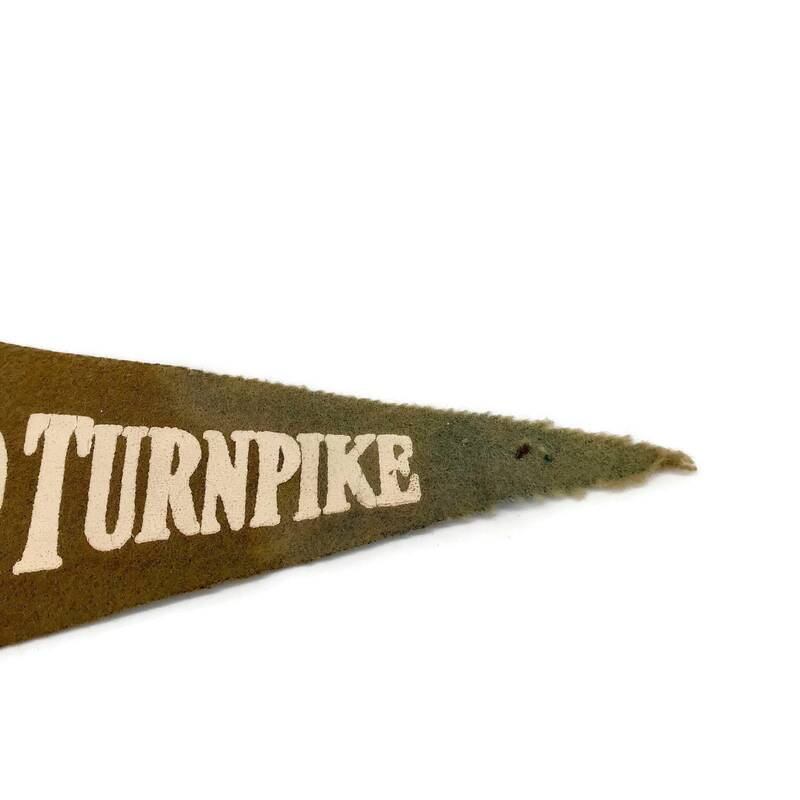 Faded green felt with mustard yellow ties and ivory lettering. 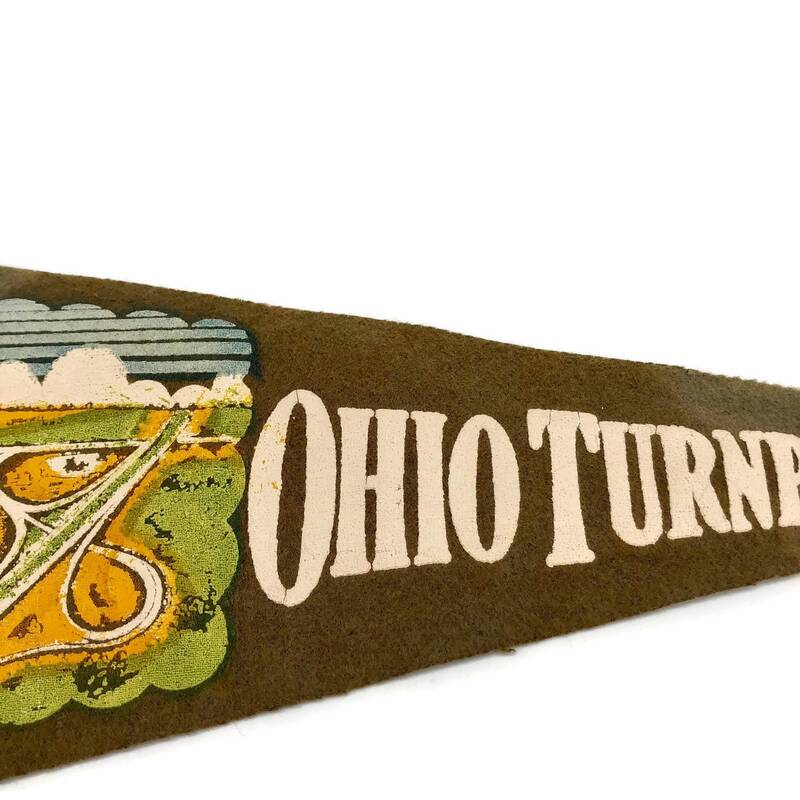 Will ship rolled.